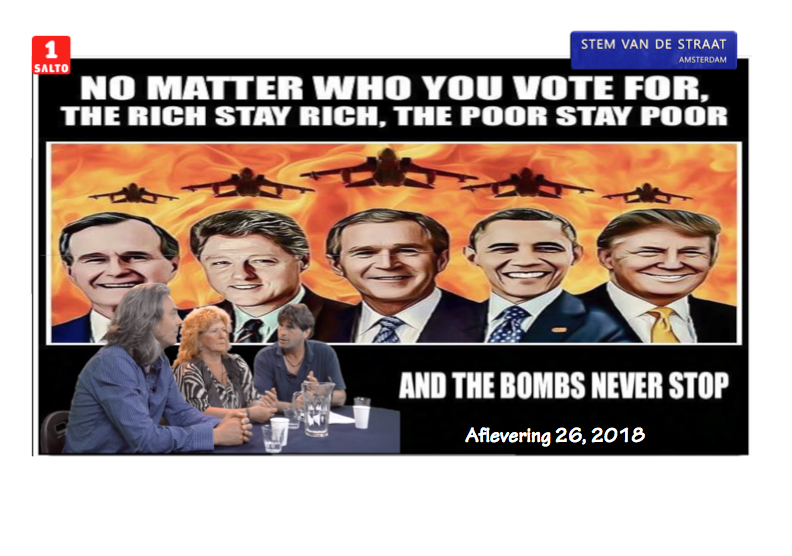 AMSTERDAM-NOIR- The real Axis of Evil: ‘US&UK&Saoedi Arabië& Israel- Killer-Elite’(Video) whit there ‘President’ Trump.Vrede en gelijkheid op aarde: Worden de Ultra-Rijken& Politieke Lakeien eindelijk Vernietigd in 2019(Video). Maybe those delirious crowds chanting “USA, USA” have got something. When it comes to military power, the United States reigns supreme. Newsweek reported in March 2018: “The United States ‘US-Killer-Elite’ has the strongest ‘Mass Killing-military’ in the world,” with more than two million military personnel and vast numbers of the most advanced nuclear missiles, military aircraft, warships, tanks, and other modern weapons of war. Furthermore, as the New York Times noted, “the United States steppejse US-Killer-Elite also has a global presence unlike any other nation, with about 200,000 active duty troops deployed in more than 170 countries.” This presence includes some 800 overseas U.S. military bases. Bush Sr.’s Ignored Legacy by the MSM: War Crimes, Racism, Obstruction of Justice(Video). 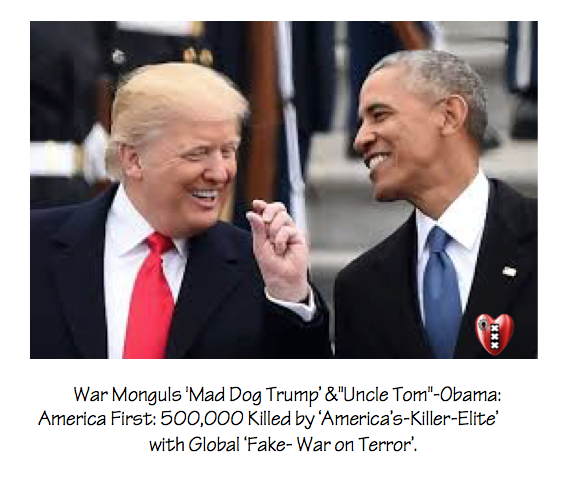 Puppets Trump&Obama: America First: 500.000 Killed by ‘America’s-Killer-Elite’ with Global ‘Fake- War on Terror’(Video). 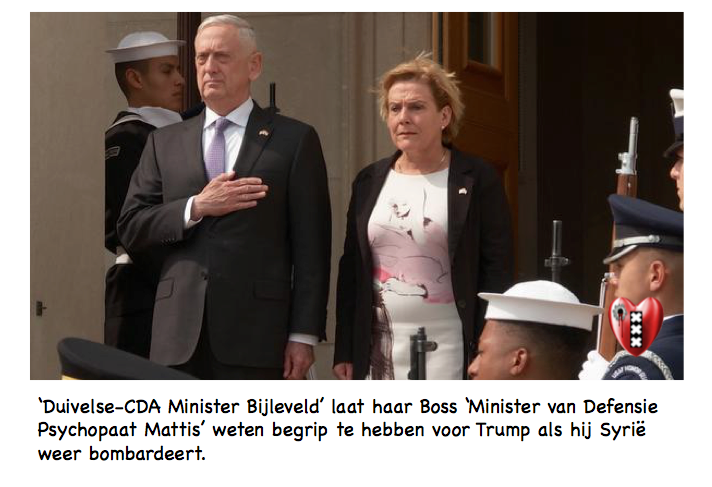 Send Mad Dog’s Mattis & CDA Minister Bijleveld to the ‘Corporate Crime-Kennel’(Video). 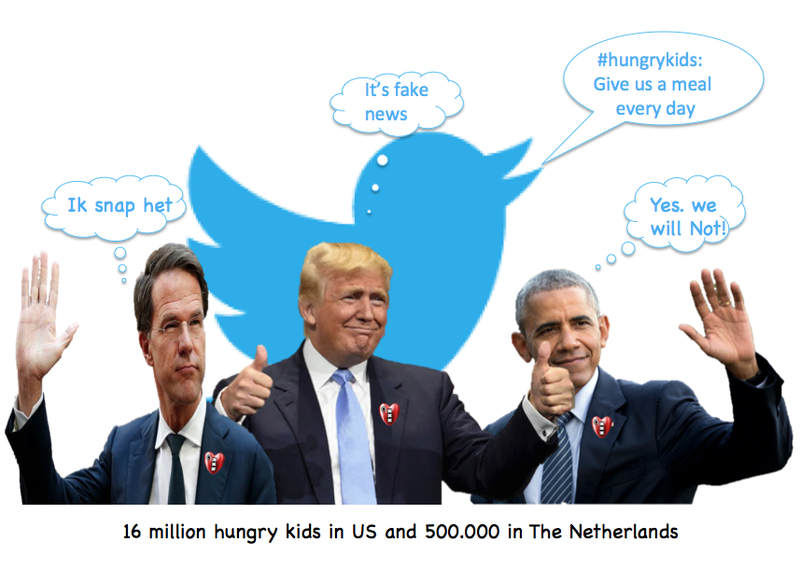 American Dream’ is Nightmare geworden door ‘Oorlogsmisdadiger Obama’ en ‘Mad Dog Trump(Video)’. In 2017 (the last year for which global figures are available), the ‘US-Killer-Elite- government ‘accounted for more than a third of the world’s military expenditures―more than the next seven highest-spending countries combined. Not satisfied, however, President Puppet Mad Dog- Trump and the corrupt Congress pushed through a mammoth increase in the annual U.S. military budget in August 2018, raising it to $717 billion. 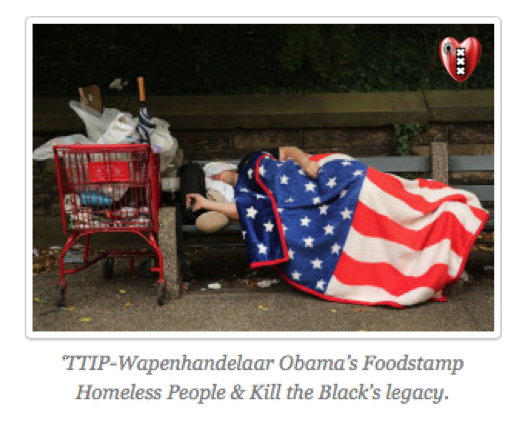 Maintaining the US-Killer-Elite status as “No. 1” in war and war preparations comes at a very high price.That price is not only paid in dollars—plus massive death and suffering in warfare―but in the impoverishment of other key sectors of American life. After all, this lavish outlay on the military now constitutes about two-thirds of the ‘US-Killer-Elite- government’s’ discretionary spending. And these other sectors of American life are in big trouble. Let’s consider education. The gold standard for evaluation seems to be the Program for International Student Assessment of the Organization for Economic Cooperation and Development, which tests 15-year-old students every few years. The last test, which occurred in 2015 and involved 540,000 students in 72 nations and regions, found that U.S. students ranked 24thin reading, 25thin science, and 41stin mathematics. When the scores in these three areas were combined, U.S. students ranked 31st―behind the students of Slovenia, Poland, Russia, and Vietnam.The educational attainments among many other Americans are also dismal. An estimated 30 million adult Americans cannot read, write, or do basic math above a third grade level. Literacy has different definitions and, for this reason among others, estimates vary about the level of illiteracy in the United States. But one of the most favorable rankings of the United States for literacy places it in a tie with numerous other nations for 26th; the worst places it at 125th. The U.S. healthcare system also fares poorly compared to that of other nations. ‘DDR66- Borris van der Ham’ bekent: De ‘Killer-Elite’ waant zich Superieur m.b.t. het door hen leeg geroofde Volk(Video). A 2017 study of healthcare systems in 11 advanced industrial countries by the Commonwealth Fund found that the United States ranked at the very bottom of the list. Furthermore, numerous nations with far less “advanced” economies have superior healthcare systems to that of the United States. According to the World Health Organization, the U.S. healthcare system ranks 37thamong countries―behind that of Colombia, Cyprus, and Morocco.Not surprisingly, American health is relatively poor. The infant mortality ratein the United States is higher than in 54 other lands, including Belarus, Cuba, Greece, and French Polynesia. According to the World Cancer Research Fund, the United States has the 5th highest cancer rate of the 50 countries it studied. For the past few years, as the U.S. Centers for Disease Control and Prevention recently reported, U.S. life expectancy has been declining and, today, the United States reportedly ranks 53rd among 100 nations in life expectancy.Despite the fact that the United States is the world’s richest nation, it also has an unusually high level of poverty. According to a 2017 UNICEF report, more than 29 percent of American children live in impoverished circumstances, placing the United States 35thin childhood poverty among the 41 richest nations. Indeed, the United States has a higher percentage of its people living in poverty (15.1 percent) than 41 other countries, including Uzbekistan, Indonesia, Thailand, Brazil, and Sri Lanka. There’s no End to US-‘Mad Dog Presidents ’ “Invade, Destroy, Repeat” Mantra. CDA Minister Bijleveld staat er pal achter(Video)! Nor does the United States rate very well among nations on environmental issues.According to the Environmental Performance Index,produced by Yale University and Columbia University in 2018, the United States placed 27thamong the countries it ranked on environmental health and ecosystem vitality. The Social Progress Index, another well-respected survey that rates countries on their environmental records, ranked the United States 36thin wastewater treatment, 39thin access to at least basic drinking water, and 73rdin greenhouse gas emissions.Actually, the findings of the Social Progress Index are roughly the same as other evaluators in a broad range of areas. Its 2018 report concluded that that the United States ranked 63rd in primary school enrollment, 61st in secondary school enrollment, 76th in access to quality education, 40th in child mortality rate, 62ndin maternity mortality rate, 36th in access to essential health services, 74th in access to quality healthcare, and 35th in life expectancy at age 60. In addition, it rated the United States as 33rd in political killings and torture, 88th in homicide rate, 47th in political rights, and 67th in discrimination and violence against minorities. All in all, there’s nothing here to cheer about. Paniek bij de ‘US & UK-Killer-Elite’: Dark Overlord’ Hackers Threaten to Release 9/11 ‘Truth’ Files(Video). 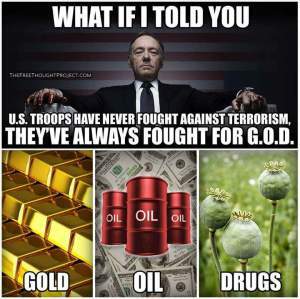 Does the ‘US-Killer-Elite- government’s’ priority for military spending explain, at least partially, the discrepancy between the worldwide preeminence of the US-Killer- Elite armed forces and the feeble global standing of major American domestic institutions? Back in April 1953, President Dwight Eisenhower pointed to their connection. Addressing the American Society of Newspaper editors, he declared: “Every gun that is made, every warship launched, every rocket fired signifies, in the final sense, a theft from those who hunger and are not fed, those who are cold and not clothed.” A militarized world “is not spending money alone. It is spending the sweat of its laborers, the genius of its scientists, the hopes of its children.”People infatuated with military supremacy should give that some thought.